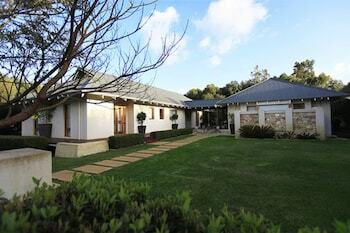 Located in Yallingup, Yallingup Luxury Retreat is within a 5-minute drive of Yallingup Beach and Ngiligi Cave. Free self parking is available onsite. Located in Lyndoch, Barossa Shiraz Estate is a 2-minute drive from Barossa Chateau and 10 minutes from Tanunda Pines Golf Club. Free self parking is available onsite. With a stay at The Mansfield Park Hotel in Mansfield Park, you'll be within a 15-minute drive of AAMI Stadium and South Australian Maritime Museum. Free self parking is available onsite. Located in Surf Coast, Bellbrae Country Club Surf Coast is a 3-minute drive from Bellbrae Estate Winery and 7 minutes from Bell's Beach. Free self parking is available onsite.